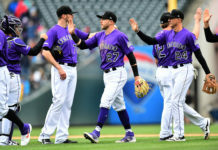 The Colorado Rockies worst fears were confirmed on Monday as closer Adam Ottavino has been diagnosed with a partial tear in his ulnar collateral ligament and is likely headed for season-ending Tommy John surgery, per Nick Groke of the Denver Post. Ottavino was originally placed on the 15-day disabled list with right triceps inflamtion on April 16, but red flags were raised when an MRI revealed irritation in his right elbow as well. The 29-year-old is still seeking final confirmation that he will indeed need the dreaded Tommy John surgery. 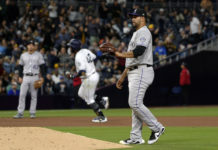 The injury couldn’t come at a worse time for Ottavino – who didn’t allow a run in 10 and one-thirds innings with 13 strikeouts and two walks this season. He was 3-for-3 in save opportunities since taking over the Rockies’ closer role. The early season dominance seemed to be the start of a breakout season for the powerful righty. Instead, he will now spend the year rehabilitating with the hopes of returning at some point next season. 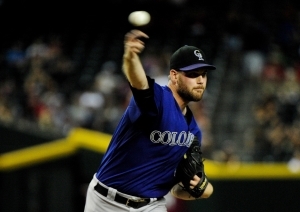 The Rockies have a handful of other pitchers with closing experience in their bullpen. 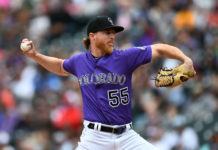 John Axford – who has 119 career saves – has been given the first shot at taking over the closing duties in Ottavino’s absence. LaTroy Hawkins (DL, bicep) and Rafael Betancourt are also candidates to close games moving forward. Hawkins, 42, opened the season as the club’s closer and has 125 career saves.